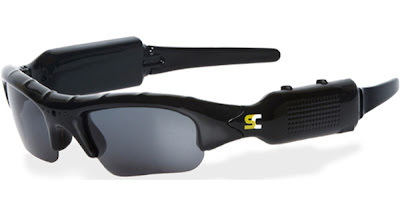 Spy-Cam Sunglasses have been embraced with open arms by the extreme snowboarding and motorcycling world! During the late 2000s the search for accessible ways to capture the perspectives of extreme sports practitioners has been a gruelling trial and error process. The problem usually revolves around the compromise between physical accessibility and picture quality, just when a camera seemed light enough to not disrupt the sportsman's efforts, the video quality was severely jeopardised. Thanks to the major technological advances in android phone cameras, the small/accessible stature has been made more practical than ever, the only problem was finding a way to adapt it so customers on a budget could afford it. After various different companies have tried and failed at creating helmets and glasses with micro cameras in them, it seems companies like SunnyCam have finally found the right balance. Not only are the glasses light and accessible, but it's the 720 HD video quality that separates it from previous attempts. Not forgetting the affordable cost (under £100) which has always been a huge hindrance for its target audiences. Great image above! Can I get in touch with you?